All of those buzzkills who have said for years that multi-directional levitation isn’t possible clearly weren’t counting on the ingenuity of Yoichi Ochiai, Takayuki Hoshi and Jun Rekimoto, all researchers at the University of Tokyo. 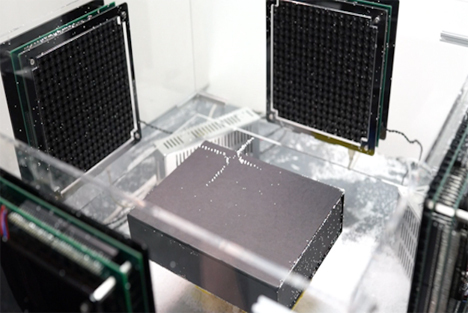 The group’s custom-built machine manipulates ultrasonic beams to move around an object in the machines focal point – and it can move them in multiple directions. Objects caught inside the focal point – actually a three-dimensional standing wave – can be manipulated and pushed around using that wave. The machine is safe enough that it’s safe to put your hand in there and mess around with the thing being levitated. The technology has to be scaled up a lot before it’s useful for anything other than novelty, but it’s a pretty great start to being able to build working hoverboards. See more in Weird Science or under Science. January, 2014.